6/“It may include “reprogramming” funds within an appropriation item, more fine-tuned than transfer, moving funding from 1 activity (allocation) 2 another....it can...starve some program that is out of favor.” I can think of a few! 7/ I’ve RTed a few articles connecting the military and the border #Wall since the omnibus passed, initially as a quasi-conspiracy wishful thinking thought experiment. But thanks to the magic/Twitter, the idea is already heading mainstream. 2) I didn't post the previous drops from Q on December 22nd. (There were only two). Here's the first one from that day. 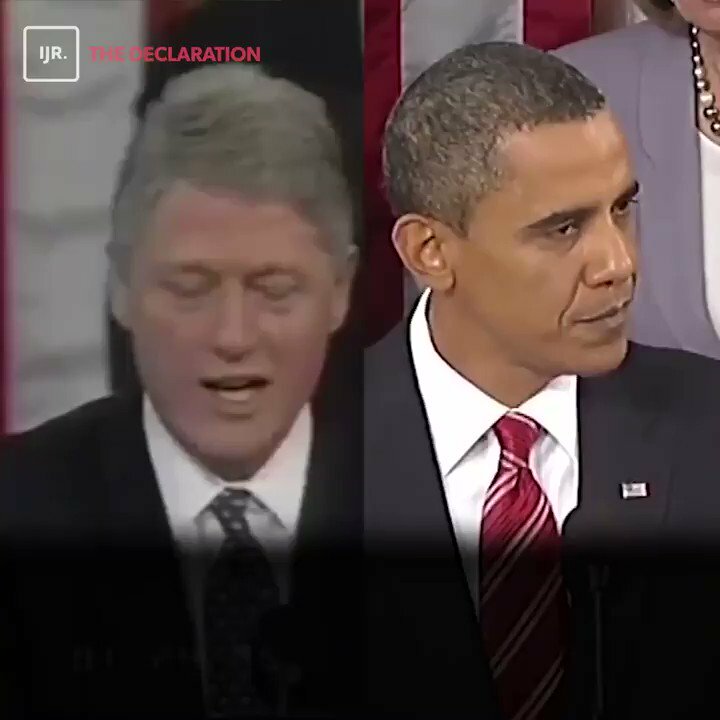 3) The link is to a video where Bill Clinton and Barack Obama told the world how serious they were out immigration reform. It's easy to say you're tough on illegal immigration when you know Congress won't vote for immigration reform or border security. #Clowns are spooked & last yr tried & failed to insert another spy into NSA to try to hit them like Snowden did. Expect another BIG coordinated wave [#3] of MSM attacks by #FakeNews. "Those who are attacked the most are the BIGGEST threat. Thank you for your kind words. Marxist is a great comparison of what has happened to the DNC. While Reagan was able to get Gorbachev to “Tear Down That Wall” & end the Cold War to bring about a Democracy in the former Soviet Union, Democrats have courted a Russian President.. Enabled them to do. Democrats consulted foreign agents during an election for opposition research & used it to initiate a false flag investigation of President Trump for Russia Collusion when the world is at an increasingly dangerous crossroads because of the manipulation.